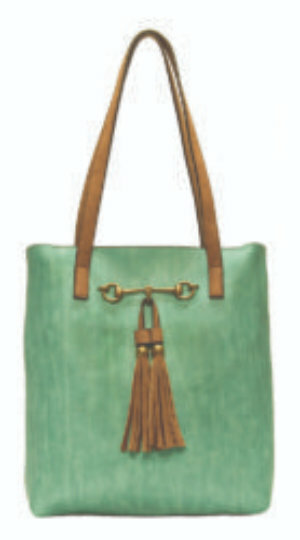 Feature: Size: 13" x 13" x 4"
The 3272 in luscious vegan leather in the classic 2 in 1 tote from Liz Soto. 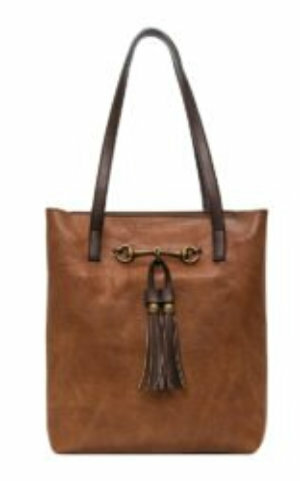 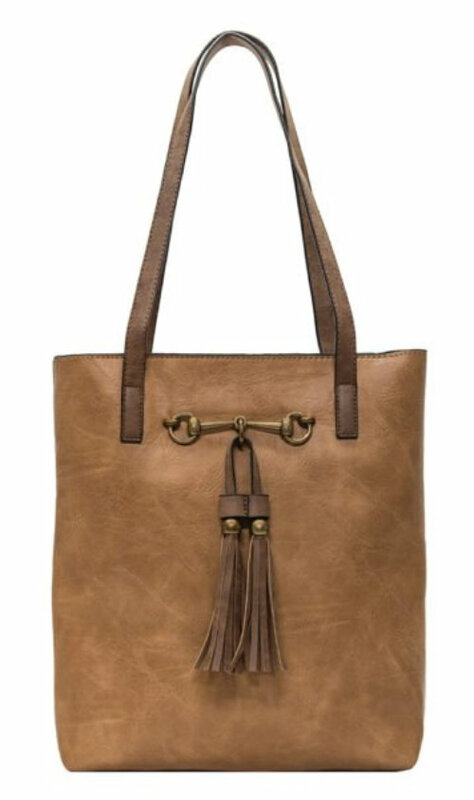 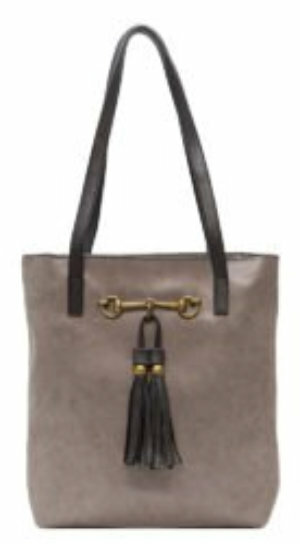 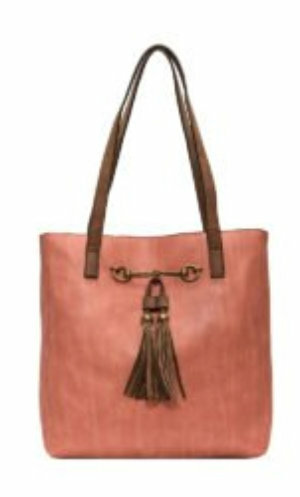 It has the fabulous horse bit with tassel and features a small inner cross body to store your phone and keys. 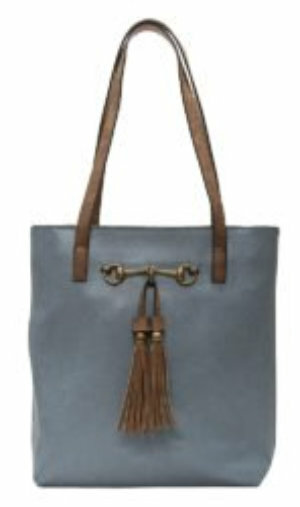 The inner tote has an adjustable cross body strap and can be worn separately. 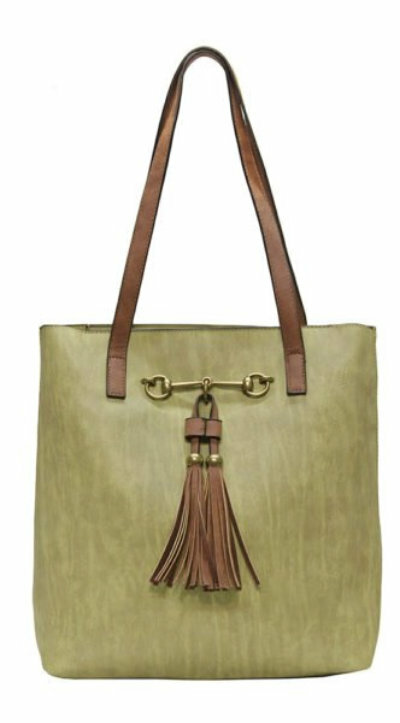 It is affordable, fashionable and full of features that make this tote multi-dimensional.